What Are Those Dental Tools Called? Most people know that it’s important to take care of your teeth. Brushing and flossing your teeth are vital tactics for maintaining healthy teeth, but so are regular visits to a dental clinic. 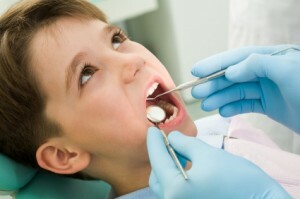 So why do most people avoid making dentist appointments? – Dental Mirrors: Dental mirrors are the small, round, angled mirrors that dentists use to see hard-to-view areas like the back of your teeth. – Dental Explorer: This instrument has a long, thin handle with a small, pointed hook at its end. Dentist and dental hygienists use the dental explorer to examine the surface of your teeth, feeling for soft areas that might indicate tooth decay. – Periodontal Probe: This tool is used for measuring the depth of pockets between the gum and teeth. The periodontal probe is straight and thin with a blunted end, and is engraved with markings that help take accurate measurements. – Periodontal Scalers and Curettes: These instruments are used to remove tartar (also called calculus) from tooth surfaces. Scalers are used above the gum line, while curettes are used below it. Beyond these tools, there are dental excavators, dental burnishers, forceps, and dental elevators. If you have questions about the different dental tools, don’t be afraid to ask your Apple Valley dentist at Dakota Dental at your next appointment. The dentists at Dakota Dental are happy to help you feel more comfortable about your visit! No matter the type of dental service, Dakota Dental makes your comfort a top priority.